Bucolic itinerary in the countryside during which you will appreciate the peace and quiet of the Culan cirque and of the hamlet Taveyanne. You will also discover the Frience Alpine meadows with the Argentine massif and the Muveran mountain chain as a backdrop. Departing from Place Barboleuse, ascent towards Chaux up to Frasses, where you will be able to enjoy a breath-taking view of the neighbouring mountain chains. Continue towards Taveyanne via a forest path. Once you reach Taveyanne, a mountain hamlet famous for its wooden roofs and the surrounding Culan cirque. The black Taveyanne sandstone (greenish rock with small black circles) is the proof of volcanic activity in the region. The small black circles are fossilised volcanic ashes. Continue on the same path up to Chaux and behold its unique panorama. Descent to Alpe des Chaux and arrival on the Frience plateau, where you will be able to admire the Massif de l'Argentine, Les Diablerets, the Muveran mountain chain as well as Dents du Midi. 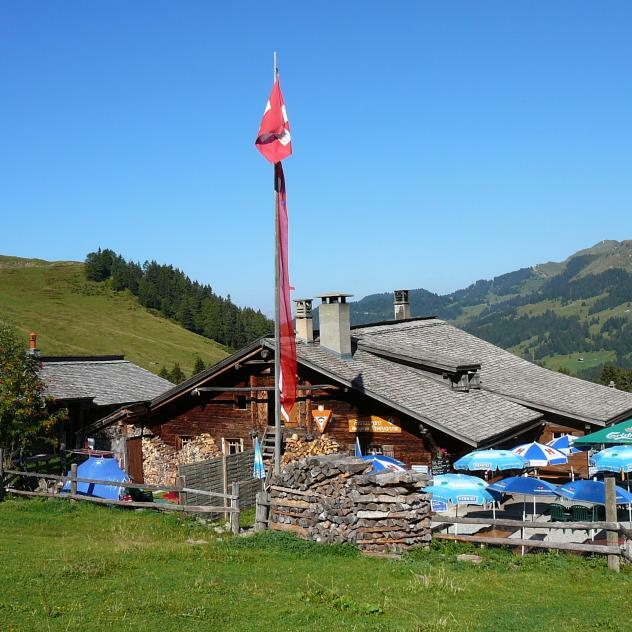 Alpine cheese dairies in the summer season in Chaux and Frience, where you can taste and buy their products. Descent to Barboleuse via Poreyre and Ernets. This route is only signposted in one direction: Barboleuse – Taveyanne – Alpe des Chaux – Barboleuse. Caution: between Ernets and Barboleuse, slippery descent on the tarred road.